Control 3.1.17 “Protect wireless access using authentication and encryption.” – National Institute for Science and Technology Special Publication 800-171 Revision 1 Protecting Controlled Unclassified. Information in Nonfederal Information Systems and Organizations. A VPN protects data by creating an encrypted tunnel between your device and another endpoint-server, somewhere else on the Internet or network. In this scenario, your Internet traffic appears to be originating from that endpoint server, rather than from your device. But how does this help protect you? Say you’re sitting at your favorite coffee shop, using their free Wifi. Unfortunately, you don’t know who manages their Wifi or if your connection to it is truly private or secure. You also don’t know the intent of your fellow patrons, all who are also using that same free Wifi connection. A VPN helps to allay these concerns. By encrypting your connection through the free Wifi to the VPN endpoint, you have confidence your privacy is maintained. Well, for that part of the link anyway. Now, can you trust the VPN provider? In many cases, VPN services cater to those who wish to elude detection of their activities. Not necessarily for malicious purposes, but those hoping to watch movies while at work behind a firewall, or citizenry hoping to escape Internet censorship of a repressive country. And yes, some with nefarious intent. For these customers, many commercial VPN providers claim no logging or record of user’s activities, which for many sounds great. But, if you’re responsible for protecting business communications and proving you’re doing it, anonymity such as that claimed above just won’t do. Further, who really owns and manages those services? A foreign company or government? For a business committed to security and compliance goals, a VPN must offer features that support these needs. Logging to show appropriate use and trusted operation of the service is required. Further, the VPN should add protection from malicious activity and be operated by a trusted partner. 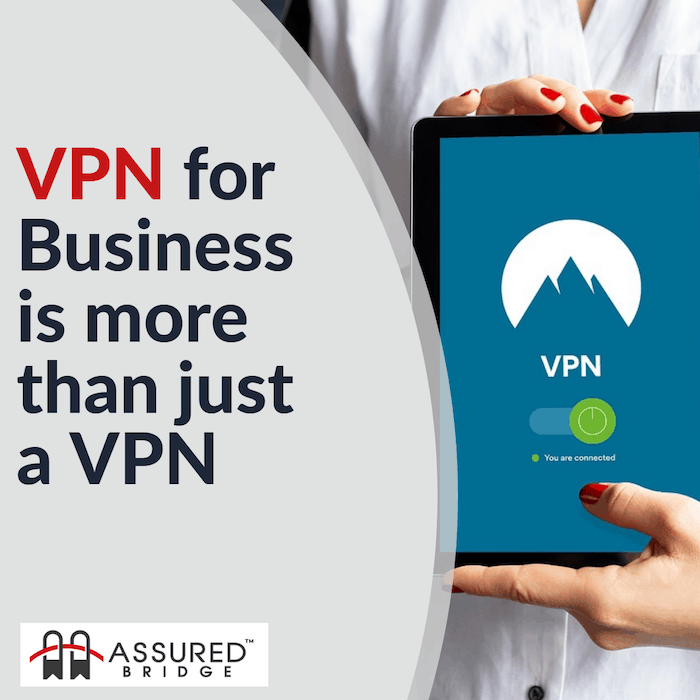 The Assured Bridge VPN meets business needs for trust, security and compliance. All VPN service end-points are located in the United States and operated by certified U.S. providers. Our company is U.S.-based and is U.S. Military Veteran owned. The VPN services include usage logging, reporting, malware protection and multifactor authentication, all at a price-point that meets the needs of small businesses. Certified Information System Security Professional Daniel Bjorklund is the information assurance and cybersecurity subject matter expert for Assured Bridge LLC, a company specializing in cybersecurity compliance solutions. 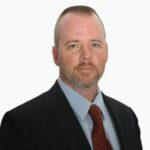 With over 20 years’ experience in U.S. military intelligence and security operations, plus significant involvement in government, commercial and private sector cybersecurity initiatives, Dan has comprehensive knowledge of today’s rapidly-evolving cyber-dependent world. A recently-licensed pilot and amateur radio operator, Dan lives with his wife in South Carolina.